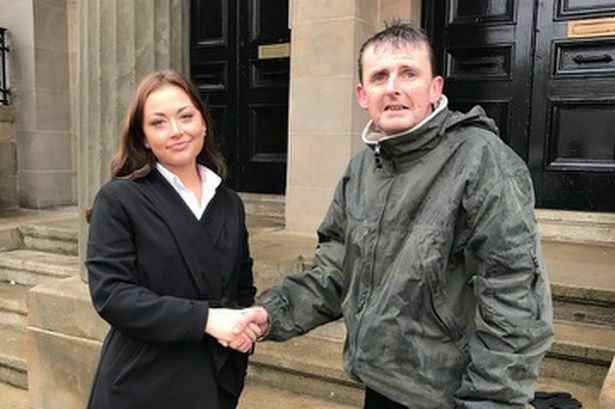 A homeless hero waited in the pouring rain for hours guarding a stranger's £450 to stop it from being stolen. 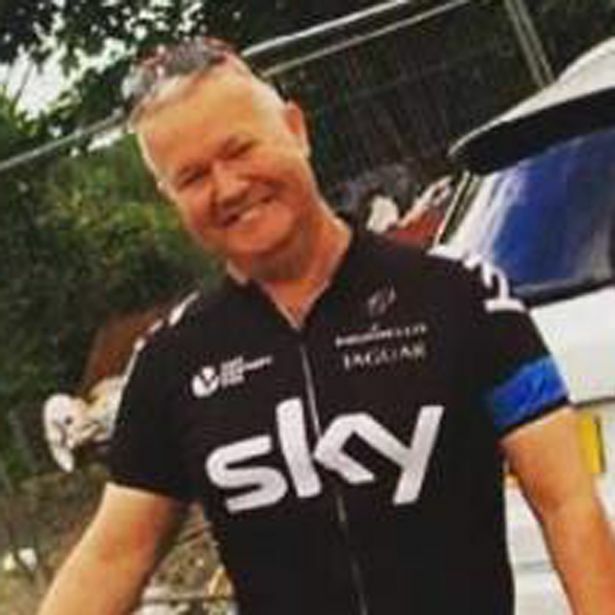 James John McGeown spotted the cash inside a handbag, which had been left on the front seat of a parked car that had been left with its window down. 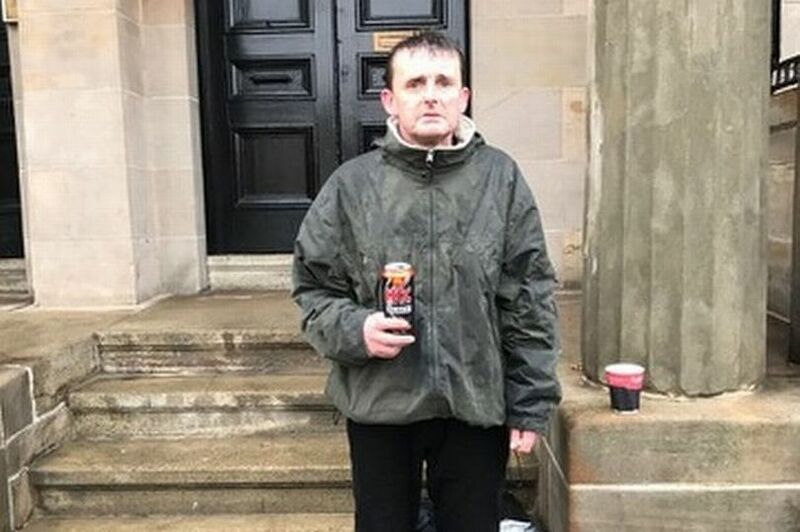 After waiting two-and-a-half hours for the owner to return, he reached inside and pulled out the bag with £400 cash in it, and £50 in spare change, and took it to the nearest lawyers office for safe-keeping. 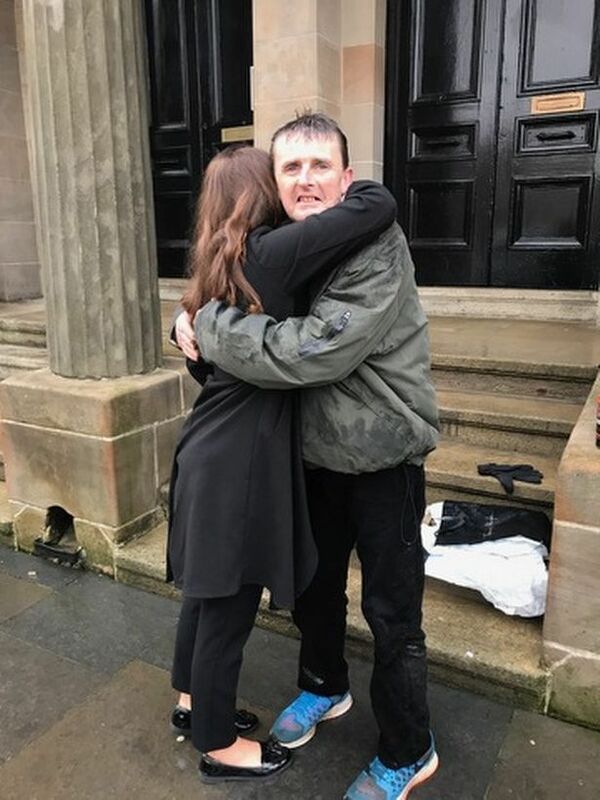 When owner John McMonagle returned to his car outside Glasgow’s Sheriff Court with his colleague Alysha, he was shocked to find a note telling him the bag was safe in the office. And now John, owner of McMonagle's chip shop in Clydebank, Glasgow, is praising James for his 'phenomenal' generosity. John is trying to track James down after setting up a GoFundMe page to raise £5,000 for him . He wrote: "We are raising money for James John McGeown and homeless people in Glasgow and Clydebank. "The money will be entrusted to John McMonagle to use for the above - also the first £5,000 will go exclusively James John McGeown. "(He) will get a minimum of 10% the rest going to the above homeless community." Another generous man has offered him free accommodation for three months and work if he needs it. John told Glasgow Live : "I was in shock, I couldn't believe that the guy never took a penny. "To think he is sleeping on the streets tonight when he could have stolen the money and paid for a place to stay. "This guy has nothing and yet he didn't take the bag for himself, he thought about others instead. It's phemonemal. It just proves there's decent guys out there and especially at Christmas. "He came back to the car when I was there and I gave him £40 and thanked him, but I'll go buy him boots and a good sleeping bag as well. I want to do something to help the guy."